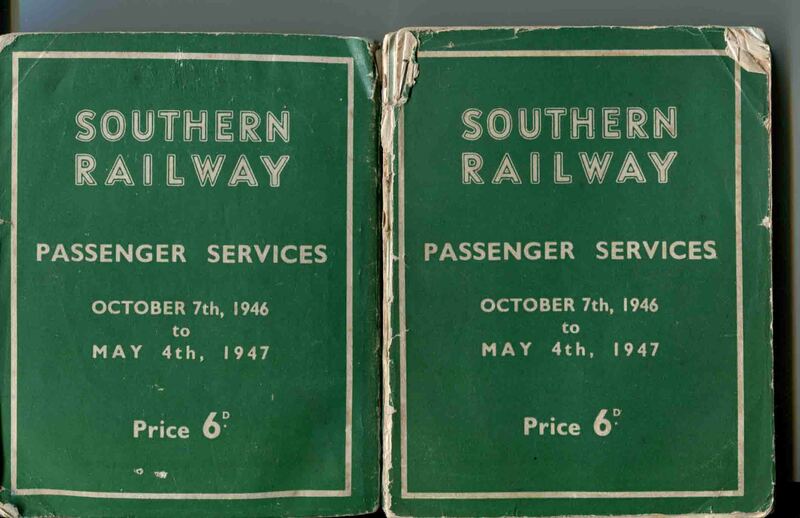 Timetables belonging to the late Reginald Jebbitt of Salisbury - click here. GWR Public Passenger Timetables (1942 - 1947). These eleven timetables dating between 1942 & 1947 were all given to me by the late Dennis Bath. A) May 4th 1942 (and until further notice). B) October 5th 1942 (and until further notice). C) May 3rd 1943 (and until further notice). D) October 4th 1943 to April 30th 1944 inclusive. E) May 22nd 1944 (and until further notice). F) May 7th 1945 (and until further notice). G) October 1st 1945 (and until further notice). H) May 6th to October 6th 1946 (inclusive). I) October 7th 1946 to May 4th 1947 (inclusive). J) June 16th to October 5th 1947. K) October 6th 1947 (and until further notice). L) GWR Route Maps (included with the last two 1947 timetables).